If you are a portrait photographer then perk your ears up and listen. I have something to tell you and it’s really important that you take it on board…Mother’s Day is only three weeks away. This means that we need to start preparing so that we can take advantage of this great opportunity to boost sales. If you’re not sure where to start then keep reading. We’ve covered everything you need to re-evaluate and prepare so that you can reap the benefits of Mother’s Day. 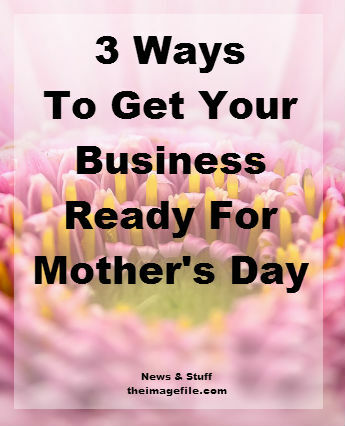 It’s important to start brainstorming some Mother’s Day offers now, so that you have time to implement and market them for a significant amount of time. If you’re stuck for ideas stay tuned because soon we’re going to be releasing this year’s Mother’s Day page sets! Also try to think of some great photo gift ideas that would appeal to your customer base. These could be mugs, bags, cushions and mouse mats as well as some higher value options such as canvases and acrylics. Take some time to re-evaluate your prices and services page. You want to make sure that all the information is still correct and that any links are still working and sending clients to the relevant pages. Also make sure you have removed any out-of-date offers and that your new offers are clearly visible and linked from your pricing and services pages. P.S Make sure your portfolio is also up to date and showing current images. Thinking of relevant blog content. Amping up your social media presence. Creating banners and content that can be used in your email marketing campaigns. Looking into advertising in local publications. Leaflet dropping at appropriate venues. Think where young families and new parents congregate e.g. parks, playgrounds, schools/play groups, gyms (during the working day), coffee shops. Is Mother’s Day a popular event for your business? How are you preparing for it?